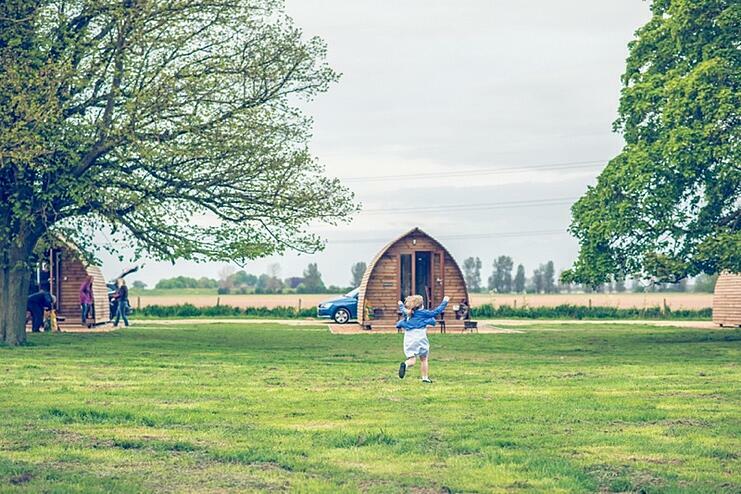 Often described as the gateway to Lincolnshire, Grantham is great for glamping! With its excellent A1 road links and being just an hour’s train ride away from London, Grantham and the surrounding area is packed with things to do! All you need now is somewhere amazing to stay – how about a glamping Wigwam®? Grantham has some famous connections: Sir Isaac Newton attended the town’s Kings School. And Margaret Thatcher, the country’s first female Prime Minister, was born there. Lincolnshire is a huge county, stretching from the Humber Estuary in the north, down to Stamford in the south. It also has a stunning coastline that incorporates part of The Wash Nature Reserve, Skegness and Mablethorpe. The East Midland counties of Leicestershire, Derbyshire and Nottinghamshire are also nearby, another great area to explore. For the Grantham area, you’ve got lots to do whether you like history, gardening or golf! The area is rich with attractions that you will want to visit time and again. For the kids (and the young at heart), how about the Fun Farm a popular play area where the kids can burn off some of that energy! For history lovers, Belton House is a must. Owned by the National Trust, the house has elegant gardens, an ancient deer park, an adventure playground for the youngsters and hosts numerous events throughout the year. If you like your local beer, then Brewster Brewing Company is the place to go! Discover innovative beers brewed on an artisan scale. Just north of Grantham town centre lies Wyndham Park, situated on the banks of the peaceful River Witham. This popular venue includes a riverside walk, toddlers play area, skateboard park, tea rooms and paddling pool. Golf lovers have the pick of the courses with Sudbrook Moor, Belton Woods and Belton Park golf courses. Belton Woods is a PGS Championship Approved Course. If you’ve got green fingers then Easton Walled Gardens will be your happy place boasting rose meadows, the vegetable garden, alpine troughs and a woodland walk among other delights. Perhaps you’re a bit of an adrenaline junky? Then Ancaster Karting, Quads and Paintball will be your ideal buzz of the day. Once you’ve tired yourself out with all the activities, then the beautiful city of Lincoln is just an hour away, with its incredible cathedral and quaint streets.